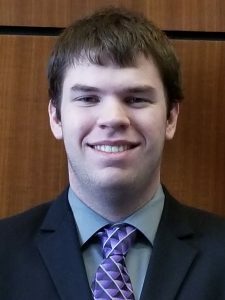 The U.S. Federal Highway Administration (FHWA) has chosen Jacob Warner, a graduate student studying transportation engineering at Iowa State University’s Civil, Construction and Environmental Engineering Department (ISU CCEE), as a recipient of the Dwight David Eisenhower Transportation Fellowship. Warner conducts research at ISU’s Institute for Transportation (InTrans). Associate Professor Peter Savolainen is his adviser.